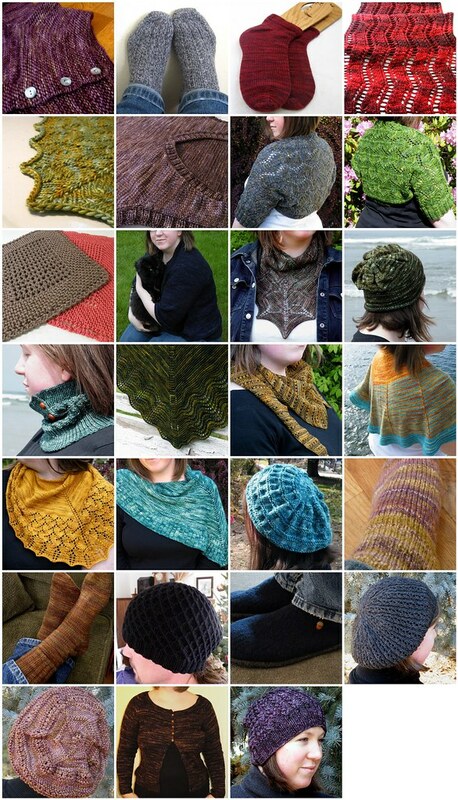 In 2009 I . . .
2009 was a really great year for me both in my knitting and my life in general! I have two resolutions for 2010 – to be a better blogger and to keep up my new healthy lifestyle. It is amazing when you line it all up like that! What a beautiful array of colors. You had a great year! All of your projects are so lovely, and I love getting to see your finished work. Look forward to seeing what 2010 brings! You did a great job in 2009. I love to see your blog. Is that all??? Kidding you know – you are amazing! Beautiful work, all of it. everything is gorgeous!!! must cast on for that slouchy copy cat hat pronto!